Teri Jones is a senior lease administrator for Mohr Partners, Inc. in the Dallas office. 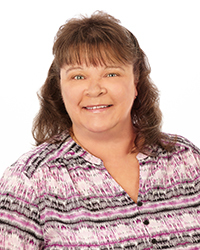 Teri has more than 20 years of experience in multiple industries. In her current role with Mohr Partners, Teri is responsible for Audit Operating Expense reconciliations, review and approval of monthly invoices for payment processing, updating landlord changes along with any monthly escrow changes, reviewing new leases and amendments for quality control, and distributing quarterly and monthly reports for clients. Teri’s areas of expertise include bank, balance sheet, utility, common area maintenance reconciliations, monthly/annual close process, accounts payable, accounts receivable, journal entries and research. Prior to joining Mohr Partners, Teri was a property management coordinator/lease accountant for OTB Acquisition, where she audited utility, tax, and common area maintenance reconciliations; updated landlord changes along with any monthly escrow changes; set-up 119 accounting and legal files with proper labeling; verified and updated system hard drive and lease database with 119 locations accounting and legal documents; created and set-up all new restaurant opening leases for accounting and legal purposes; processed and updated monthly rent batch for all locations; processed monthly percentage rent reports and accruals; created and set-up numerous excel spreadsheets, forms and documents for information tracking; created and mailed lease renewal letters to landlords; consulted with field personnel repair issues resulting in creating and sending request letters to landlords; edited skeleton lease for future lease negotiations; gathered documentation to submit to landlords requesting construction allowance reimbursements; worked with facility managers on processing Invoices for capital expenses.